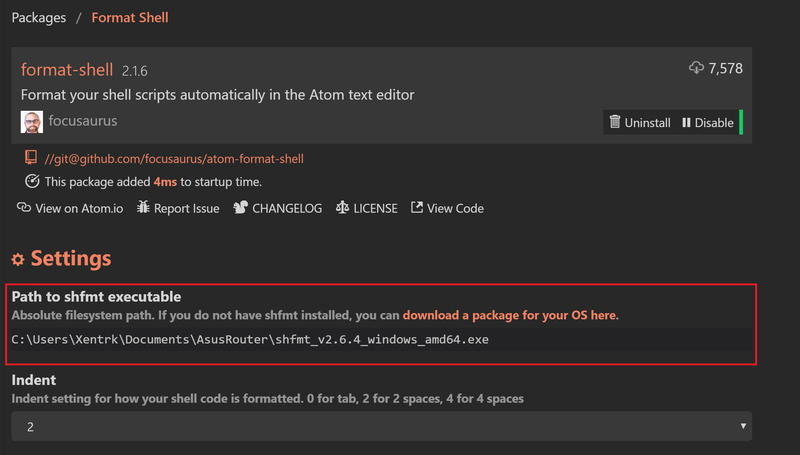 This guide will show you how to configure the Atom editor to improve shell script code quality and readability using the linter-shellcheck and format-shell packages in the Atom editor on a Windows 10 device. For shellcheck to work, you must first download the appropriate shellcheck precompiled binary file for your operating system. 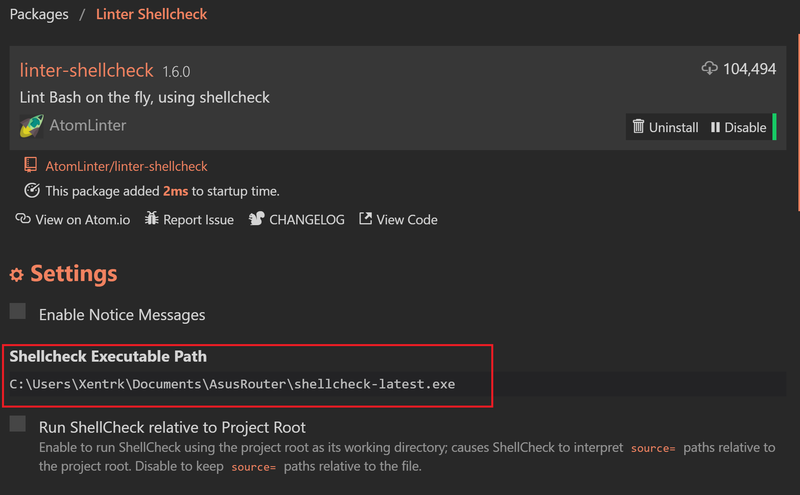 Below the Settings section, enter the path and file name of the precompiled windows binary file you downloaded from https://shellcheck.storage.googleapis.com/index.html in the Shellcheck Executable Path field. When you open a shell script in the Atom editor, a warning symbol appears to the left of the line number for any code that has warnings or errors. Hovering on the warning symbol will display a message with more information about the issue along with an “SC” number. To get additional information about the warning message, go to the website https://github.com/koalaman/shellcheck/wiki/SC2039 and append the “SC” error number to the URL as done in the provided example. The website will provide additional information about the problematic code along with an example of how to correct the code. The Atom Format Shell package will automatically format, beautify and pretty-print your shell script source code from within the Atom text editor. The formatting is powered under the hood by shfmt, which must be installed separately from Atom and the Format Shell package. Below the Settings section, enter the path and file name of the shfmt file you downloaded in the “Path to shfmt executable” field. To format a shell script, open up the shell script in the Atom editor. Then, select Packages -> Format Shell Script from the menu. 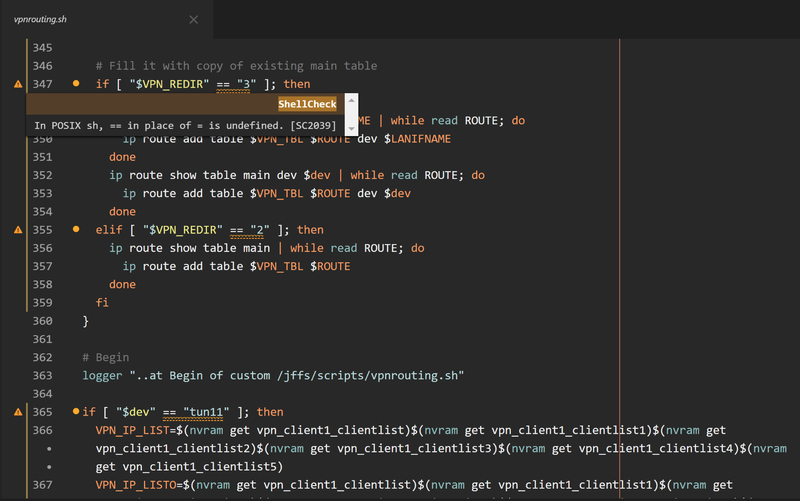 The script will then “beautify” the code by removing DOS line endings and formatting for readability. While in Atom, enable the Autosave package. 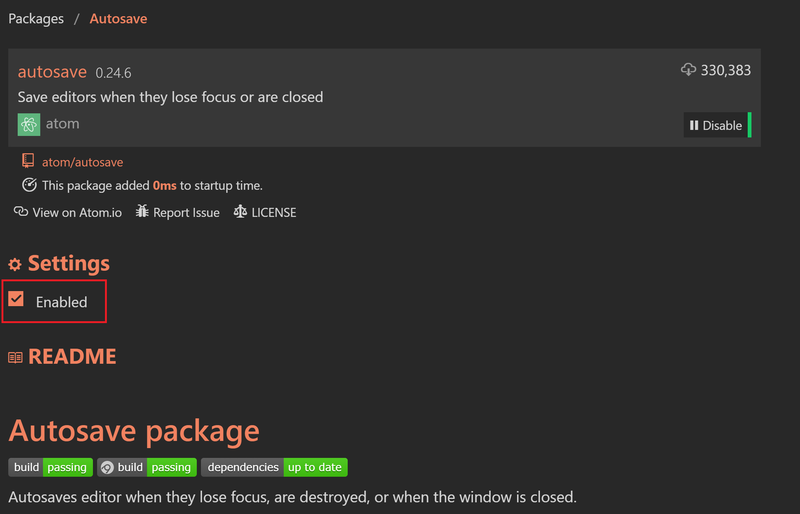 The package will automatically save the editor if it looses focus, is destroyed, or when the window is closed. In the Settings screen, scroll down to the Settings section and check the Enabled box. The Atom editor is a very rich and powerful editor containing thousands of open source packages that adds new features and functionality to Atom. The Atom packages linter-shellcheck and format-shell will help you improve shell script code quality and readability during the development process. Because you are developing the code on your local machine, I recommend that you install an SFTP client, such as WinSCP, on your Windows machine to easily transfer the code to the Linux operating system for testing.